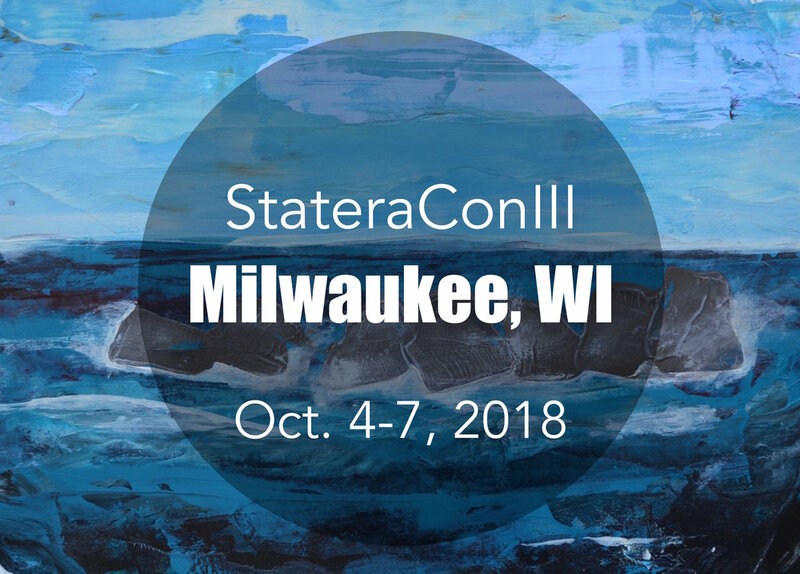 Join us for the Statera National Conference in Milwaukee, Wisconsin from October 4-7, 2018. Meet with theatre professionals from all over the country for three days of networking, socializing, experience-sharing, theatre-going and more! The Statera conference is all about intersectional gender balance and our goal is to take action to bring artists who identify as women into full and equal participation in the American theatre. Why are we meeting in Milwaukee, Wisconsin? We have strategically chosen to meet in the Great Lakes Region as a way of engaging both coasts as well as the wide swath of regional theaters scattered across the states. Milwaukee has a rich arts and culture scene and is also home to theaters like Milwaukee Repertory Company, Acacia Theatre Company, Boulevard Theatre, First Stage, Milwaukee Chamber Theatre, Next Act Theatre, Skylight Music Theatre, Renaissance Theaterworks, and many more. We are thrilled to announce that Renaissance Theaterworks is partnering with Statera Foundation to host the 2018 Statera National Conference for gender parity in the theatre. Renaissance Theaterworks was founded in 1993. The founding members recognized a gender imbalance within professional theater, and sought to correct it by producing excellent theatrical work while actively promoting the careers of other women in professional theater. In 2001, Renaissance hired Julie Swenson as Producing Director. Together, their founders, staff, and vibrant Board of Directors have grown Renaissance and achieve the artistic and fiscal success the company celebrates today. Statera Foundation is proud to hold our third National Conference for Gender Balance at Renaissance Theaterworks in celebration of their 25th Anniversary Season. Learn more about their their work for gender parity HERE. StateraConIII will be hosted by the University of Wisconsin - Milwaukee and take place on campus at the Peck School of the Arts. Statera Conference is open to all theatre professionals, practitioners, students and enthusiasts regardless of gender or age: administrators, designers, dramaturgs, educators, technicians, actors, advocates, spouses, etc. Please visit www.staterafoundation.org/speakers2018 for a full list of conference speakers, facilitators, and performers. Registration includes access to all Statera National Conference programming. This includes keynote addresses, plenaries, workshops, breakout sessions, panel discussions, performances when noted, admission to organized social gatherings, a conference swag bag, and communal meals. We love when students join their professors at StateraCon! If you are a student attending Statera's National Conference in Milwaukee with your professor, your attendance fee is only $100. Your professor will need to confirm that you are their student. Please visit staterafoundation.org/conference-schedule for information about the conference schedule. The Statera National Conference is a family-friendly space. At Statera, we know that many theatre professional, particularly women, are always juggling their professional lives with the needs of their families (we can relate!) To help ensure that you won't need to choose between attending the conference and caring for your little ones, we will have a Family Room* available for any attendees needing to bring their infants or small children with them to conference. This room will be equipped with private space for nursing and pumping and plenty of room for little ones to get the "wiggles" out! Attendees may also bring their small children into the sessions with them as they see fit. Also, any attendee wishing to bring a babysitter to conference with them to attend to their kiddos while they attend sessions is welcome to do so without registering and paying for their babysitter. Simply note the names of your children and their babysitter when you complete your conference registration and we'll print name badges for your family group so that they have easy access to you during conference. The only sessions that we will not be able to accommodate children under 16 years of age are the evening performance offerings as theses events may contain adult content not suitable for young audiences. *The family room will not be staffed by Statera personnel and children may not be left unattended at any time.